Valentine is no doubt the best day for all the love birds. This trend originally is from western culture but in Nepal as well it has been creating quite a buzz. It is a festival for people to express and celebrate their love. The trend of celebrating Valentine’s Day in Nepal is rising every year. It is result of modernization and westernization and there is nothing wrong about this. It is known as Pranaya Diwas in Nepal. Valentine may be the day of love but it definitely didn’t have the sweetest beginning,The name comes after early Christian martyrs named valentines. The valentine we celebrate today is an honor for Valentine of Rome and Valentine of Terni. Valentine of Rome was a priest and was buried after death. While valentine of Terni was also a priest. The day is marked in honor of these two martyrs. Later on it was Shakespeare who give this thing a romantic touch in his creations. Even though valentine doesn’t have quite romantic history but now it is marked as day of love. Kathmandu is definitely a best pace to celebrate Valentine. If you happen to be around Kathmandu in Valentines then there are great ways you can celebrate it. Kathmandu has the most variety of adventures you can take on in valentine’s day. From quiet romantic places to crowdy and busy places Kathmandu has it all. I am listing few places you can go to if you are around Kathmandu. Nothing is more romantic than a dinner in a subtle place. Food is everyone’s best and what can be the best way to express your love than food. There are many good restaurants around Kathmandu take her to her favorite restaurant and let her enjoy the food while you get lost in her eyes. Some of the places that you can go in valentines are Melrose restaurant and Bar in Thamel, Third eye restaurant in Thamel, The old house restaurant in Durbar marga and La Sherpa Restaurant. It is a small but very peaceful hill station situated near Kathmandu it is best place for a quick romantic gateway. There are beautiful and luxurious hotels you can stay in. The dense forest, the picture perfect setting in the botanical garden is all you need. Just relax and enjoy your time in this serene place. The hilly tracks, botanical garden and the Naudhara pagoda are some of the attraction of this place. Some of the places you can stay are Godavari Village Resort, Hotel View Bhrikuti and Brindaban Resort. Spend quality time with your darling in the evening. Kathmandu has so many varieties of clubs and pubs. Take her out for a nice drink and talk with each other. what else is needed. Mezze Roadhouse at Durbar Marg and Tom & Jerry Pub are the one of best lounge bars. Fe late night party animals there are Purple haze, Trisara and the copper floor. If you are looking for romantic places outside Kathmandu, there are beautiful places to make your valentines day better. Nepal is in itself a heaven so there are still many names that make up to this list. There are many beautiful places outside Kathmandu where you can take your loved one. There are many names but I am listing only few of them. It is just one and half hour ride from Kathmandu and yet can give you that isolated and romantic feel. Once you are there it’s a different environment, great views of the mountain ranges Annapurna, Langtang and Everest will captivate yours heart. 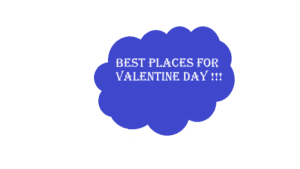 Give a treat to your loved one with a trip to valentine. You can even stay in the local homestays and enjoy the warm hospitality. Pokhara has all the varieties and all the adventure you need. Get on a boat ride with your darling in fewa lake. Make sure to put on your safety jacket. Watch sunrise from Sarangkot and also get the best view of Pokhara form there. If you are adventure lover make sure to do paragliding. Nothing gives best feeling than jumping off a cliff with the love of your life of course with a parachute. Above all, Pokhara has the best hotels to make stay even better. Some of the best places to stay here in Pokhara is Hotel orchid, Hotel Jalmahal, Hotel fishtail, Waterfront resort and Hotel dream Pokhara. Manang and mustang may not be the most luxurious place to stay but it definitely is the most romantic place. Isolated from modernity and still untouched by urbanization, these places will be best destination to express your love. There will only be you two and your privacy. You will not find five stars but the most warm hotels and homestays. Enjoy the spectacular view of mountains and the local food there. They not only have the best view but best people as well. Bandipur will isolate you from the modernity of city and make you fall in love with the place.It is one of the cleanest city in Nepal. Situated atop a hill it is blend of beauty and culture. There are warm locals and equally warm homestays to make the most of your honeymoon. Be fascinated with the newari culture there. You can trek in the Annapurna short circle, visit the thrilling siddha gufa or visit the silkworm farm. Another best thing about bandipur is that there are many homestays and hotels. Some of the best names are The old Inn hotel, Hotel Bandipur, Gaun Ghar hotel and hotel hill top.